I was at the Kotel praying the evening before Hoshana Raba. The whole kotel was filled with people studying and praying fervently the last hours before our year is sealed from shemayim. I was inside with my head upon the holy stones of the kotel finishing my prayers and suddenly had the inspiration to go to the Sukka in the chotzer and to spend a few moments there doing the mitzva of l'shev b'sukka before leaving to return home. 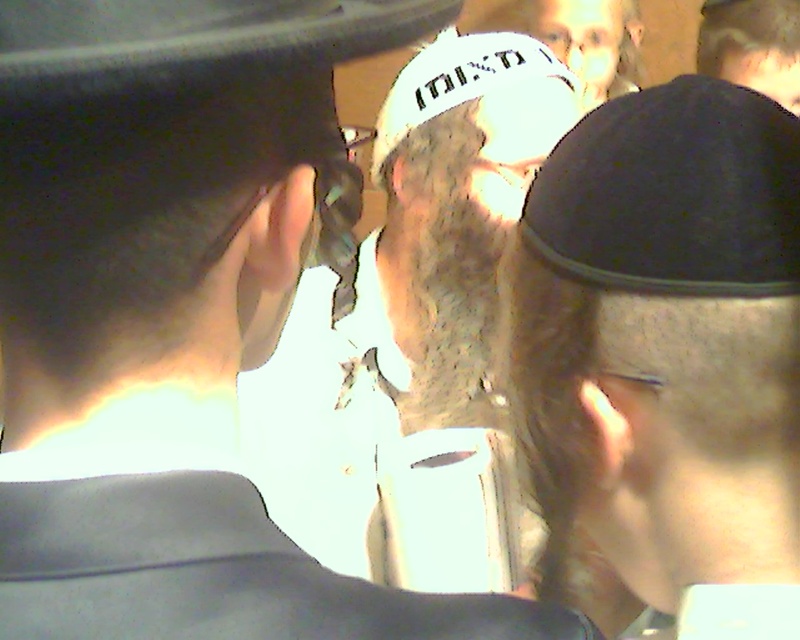 After all this was the final night of Sukka and the Ushpizin David HaMelek. 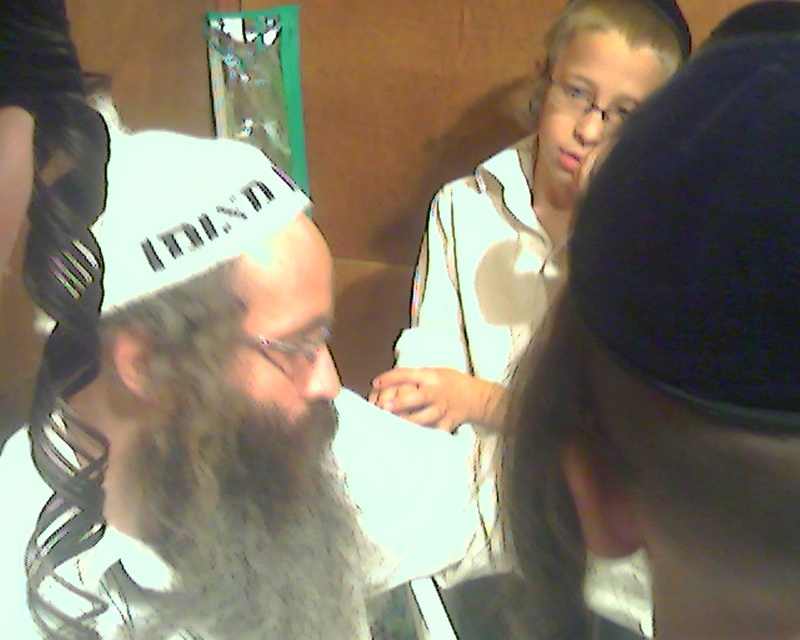 So I went to the large kotel sukka that is filled with large beautiful pictures and I see in the corner a crowd of chassidim and bochorim gathered together. "There must be a Rebbe here," I thought to myself. 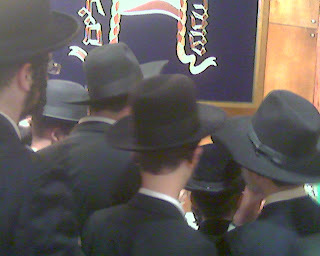 All the people were pressing up against one another to get a look and to listen to the holy Rebbe sitting in the corner of the sukka. So I went also and peaked through to see which Rebbe it was...and lo and behold...there sitting in the corner of the sukka was none other than SIMCHA NA NACH giving forth beautiful flowing words on the Torah of Na Nach! 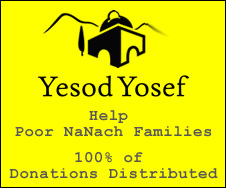 He was surrounded by young boys asking questions, and the whole group was eagerly listening for quite a while as the surrounding light of Na Nach came from the Clouds of Glory and filled the hearts of these holy neshamot yearning in some hidden way for the Torah of Rabbe Nachman of Breslov Na Nach Nachma Nachman M'Uman.